Choose Notifications or Standard SMS. 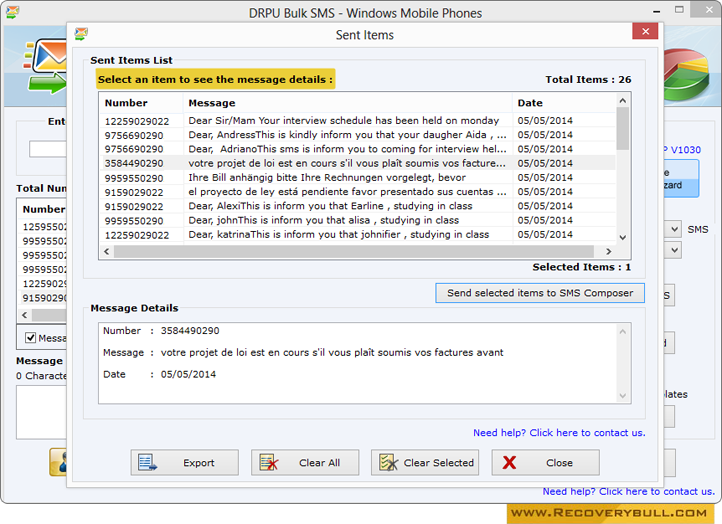 Select other options (as shown in left panel) like Delayed Delivery, Use Exclusion Rules etc and click on send button. Currently showing progress bar to see running status of messages sending process. 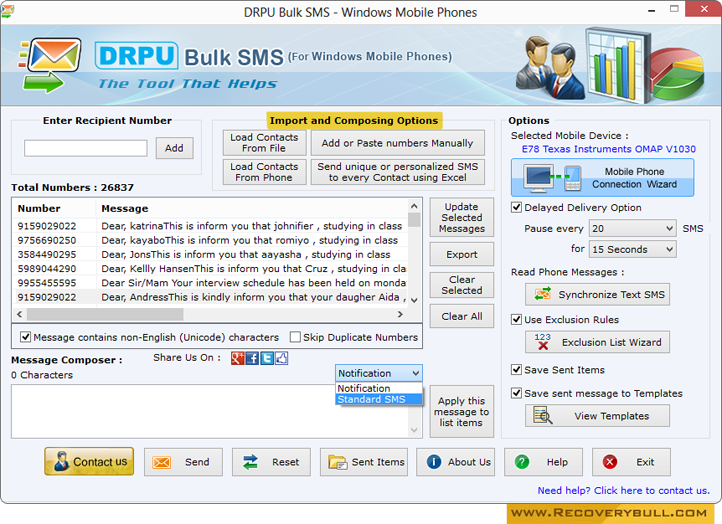 Wizard displays Sent Item List to view sent messages details along with Number, Message and Date. 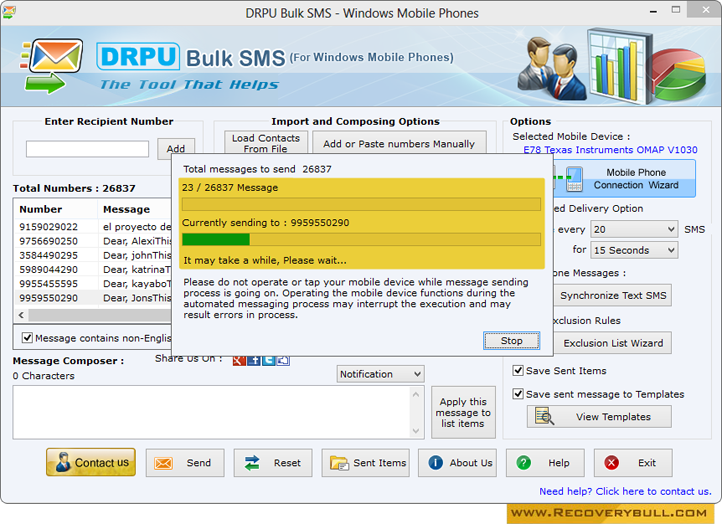 If you want to Export your sent item list in txt, html, xls or xlsx file format, then click on 'Export' button.